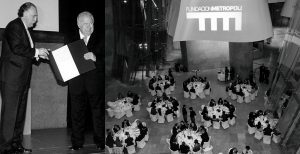 Fundacion Metropoli Cities Awards for Excellence highlight the strategic importance of cities and regions, and recognize the “world class” achievements made by individuals, institutions, or cities in advancing the field of urbanism. The award aspires to be the one of the highest distinction that can be internationally awarded in the field of urban planning. The prestige of the award is not derived from its economic value, but rather from the rigor, neutrality, and the capacity of the institutions that make up the Proyecto Cities initiative to identify innovative projects. The Cities Award seeks to identify and internationally disseminate the most relevant and innovative contributions in the fields of urbanism, city and regional planning. The candidates for the award will be individuals, institutions, cities, or regions that have made significant contributions to the world of cities, and whose work can be considered as a world-class international reference. The award aspires to identify and celebrate those contributions that are singular, relevant, and internationally recognisable as world-class references for their contribution to, and improvement of, our collective efforts in the field of cities and regions. 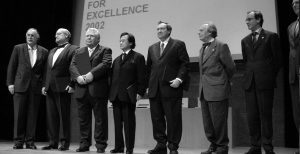 For several years Fundacion Metropoli has been a knowledge partner of the Lee Kuan Yew World City Prize. Fundacion Metropoli’s role along its participant years has been to nominate, select candidates and evaluate the nominees for this biennale. 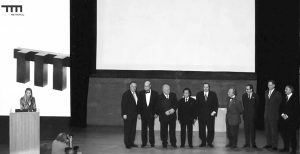 The Lee Kuan Yew World City Prize is a biennial international award that honours outstanding achievements and contributions to the creation of liveable, vibrant and sustainable urban communities around the world. The Prize is awarded to cities and recognises their key leaders and organisations for displaying foresight, good governance and innovation in tackling the many urban challenges faced, to bring about social, economic and environmental benefits in a holistic way to their communities.